Had my post-holiday facial at Dr Sebagh few days ago. I needed an anti-aging facial so badly because fine lines are slowly appearing especially around my eye areas. Dr Sebagh started his career as young plastic surgeon 30 years ago. Those days dealing with the ageing process of the face was essentially limited to face lifts - as in using the knife. Fortunately for us that living today, different types of laser treatment have been launched to treat pigmentation, vascular problems, hair removal and ageing skin. Radio frequency has also been introduced to tighten and refirm the skin. Recently too, new ultrasound therapy has been used to tighten and shorten facial muscles, further delaying any need for surgery. 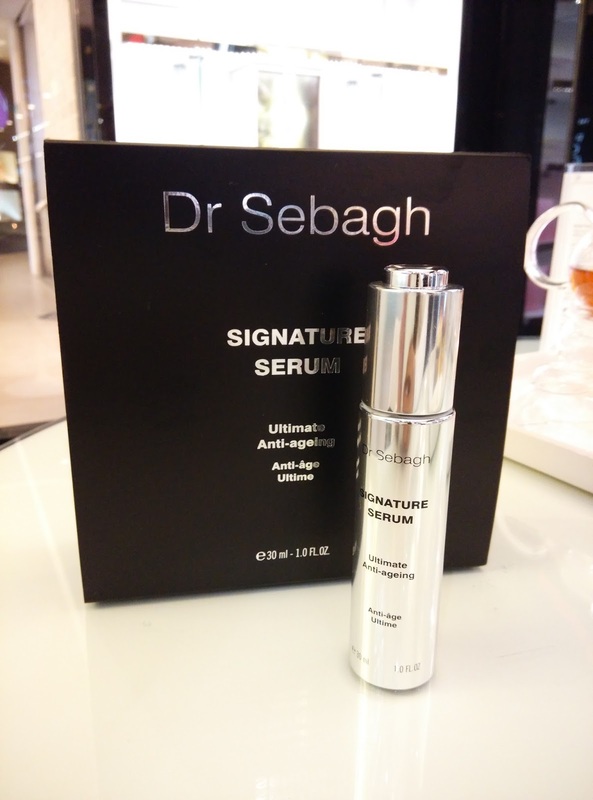 At Dr Sebagh, they are committed to deliver the most natural result. Their task is to restore and to to help people who want to age gracefully and not to transform them completely so that they become completely unrecognisable. The Dr Sebagh Advanced Anti-Aging Facial is their signature facial that improves cellular turnover and the quality of cellular growth. It includes lymphatic drainage with pure, organic essential oils and the application of a highly specialised mask. First, the beautician will remove your eye makeup (if you opt for additional eye treatment). Double cleansing is involved during this step. The first cleanse was with Foaming Cleanser to remove all the makeup and dirt off the skin. Followed by Cream Cleanser for deep cleansing. Deep Exfoliating Mask is brushed onto dry skin. After 10 to 15 minutes it will be removed with warm water. There's a tingling sensation to the skin when the mask is first applied. It bothered me for awhile but I choose to ignore it because I know the product is working. Before extraction, warm steamer is placed closed to the face for preparation. The extraction process takes up to 15 minutes depending on your skin condition. It draws out all the impurities such as black heads, white heads and sebum that get trapped inside the pores. After the extraction, grape water is sprayed all over the skin to calm it. The Rose de Vie and Serum Repair are applied to the skin. The amount applied is dependent on the level of hydration of your skin. Then the beautician will massage your skin with a face serum. It looks a bit like sci-fi scene. A thin layer of Supreme Eye Serum is applied around the eye areas and the massage with eye applicator. The beautician showed me massage point of the eye areas. This will leave the eyes feeling fresh, cool and taut. Sun City Sunblock is applied on the skin to cover the face and neck for UV protection. Lastly, a brief massage is given by the beautician on the hand, leg, neck and back to relax your muscles. 1. 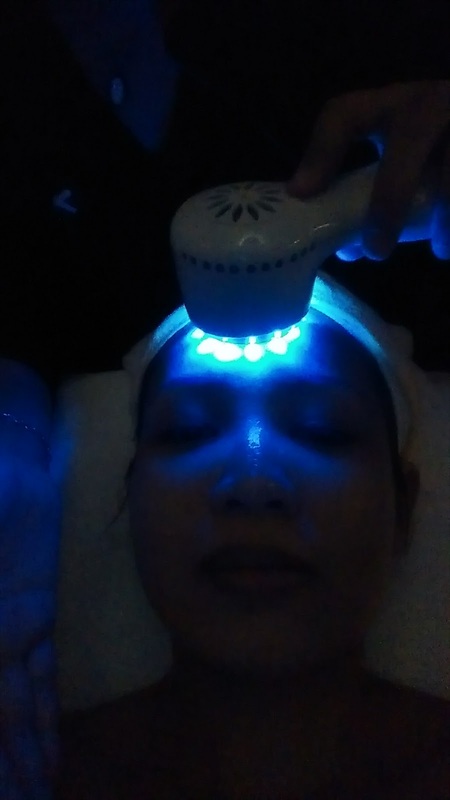 Obvious result can be seen right after the facial. Previously, the skin along my jaw line and underneath my cheekbones are sagging. After the facial, the areas became firmer. Overall, my skin was hydrated and more radiant. To be honest, you can feel that after any facial. What I appreciate most is the effectiveness of the procedure to strengthen collagen fibres, leaving the skin twice firmer than before. 2. Simple procedure to sign up is what I need from beauty salon. 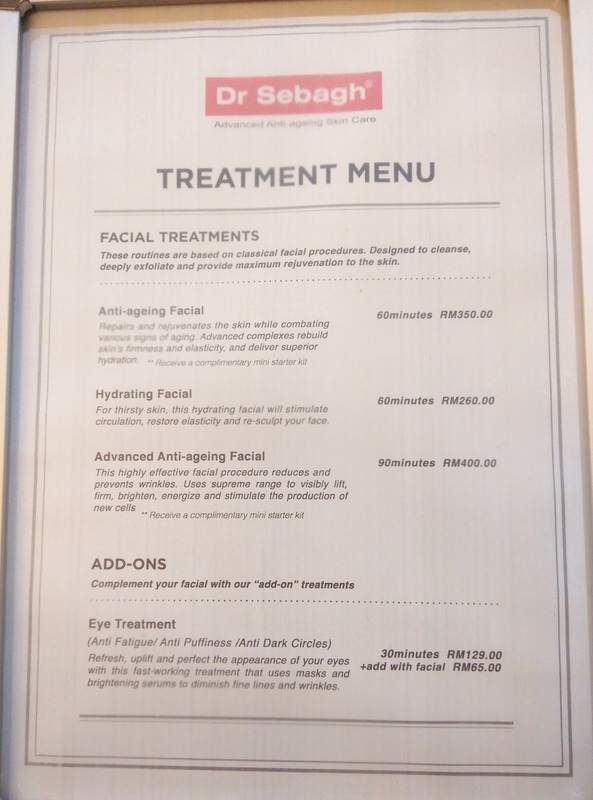 I've stopped going to facial before this because I hate getting harassed by beauty salon to buy facial package and pushing me to buy products I don't need. I guarantee, you won't get that at Dr Sebagh. What they sell to you is ala carte facial depending on the needs of your skin. The beauticians at Dr Sebagh are ethical and professional when it comes to this. You only pay for the treatment you need. And can book your appointment whenever you need it. There's no string attached. 3. 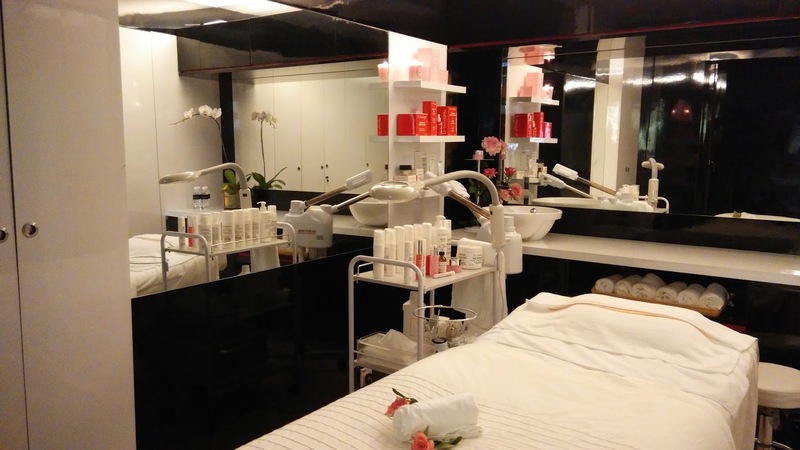 The beauticians are very committed when treating the customers. During the interval waiting time, such as when applying mask, she will spend her entire time in the room by giving you simple massage on the hand or shoulder. She will not leave you alone in the room unattended. As she was doing the treatment, she will explain the condition of my skin and suggest me what to do. I learn an anti-aging tip from her, don't eat food that is high in sugar, or the skin will sag and wrinkle faster. In just 40 minutes, I learn so much from my beautician. 4. I love the ambiance a lot. It is very relaxing. The room is sound-proof. 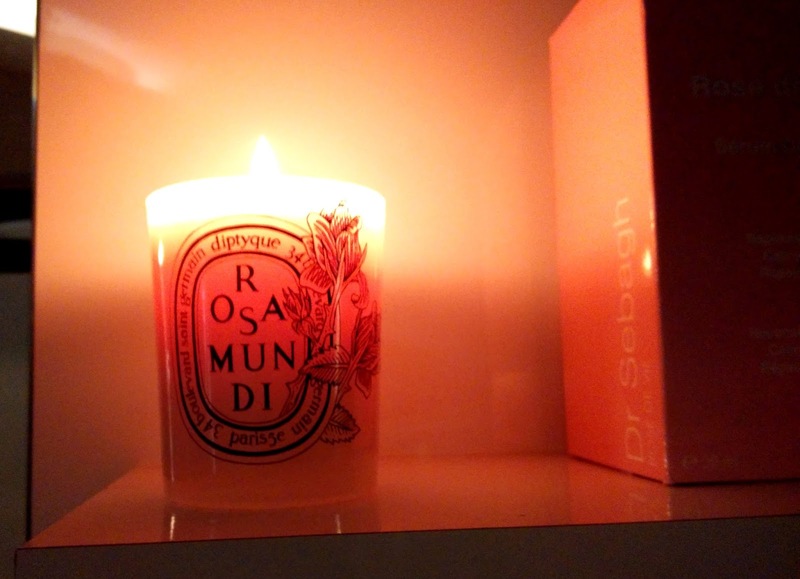 And they lit my favourite candle during the facial.... Diptyque's Rosamundi!!! I love this scent to death! 1. 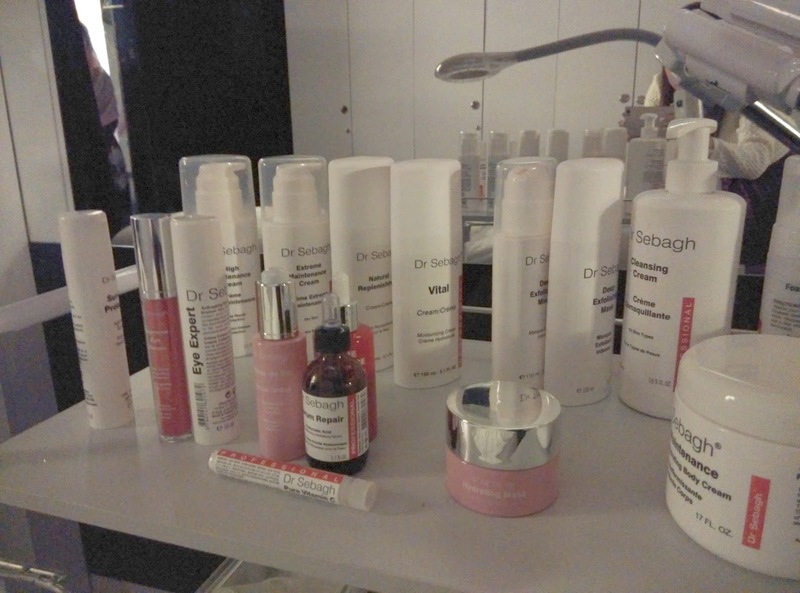 Dr Sebagh facial treatment is very exclusive. It is only available in one outlet, Bangsar Village II. And they have only one treatment room. In terms of accessibility, it is not that convenient. 2. Expensive. The treatments are ala carte, which means you pay for each treatment. There is no package, membership or pre-paid service. However, the price is compatible if compared to all premium facial services. 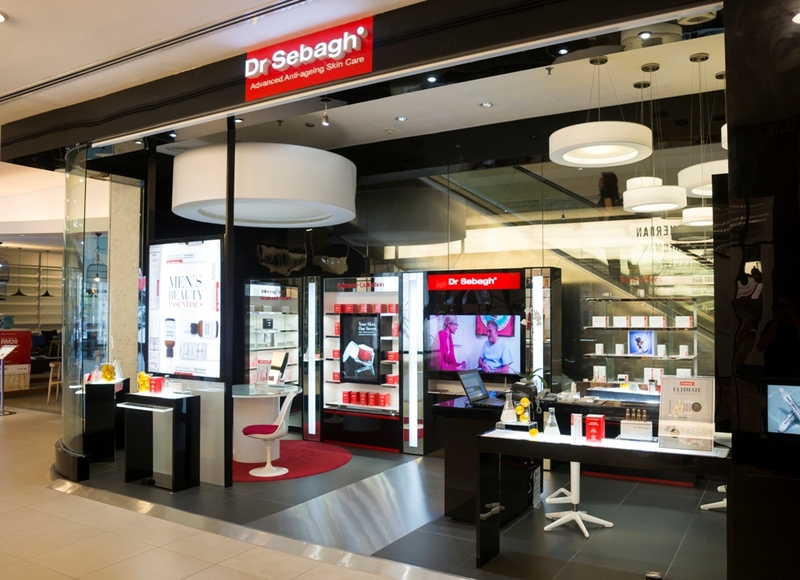 If you want an effective facial treatment with no-nonsense, I suggest you to give Dr Sebagh a try. 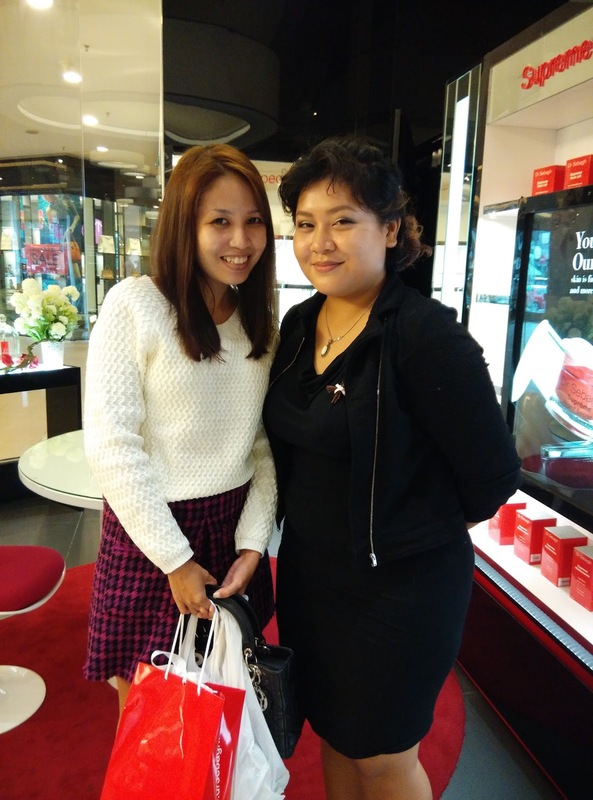 You can book your appointments at their Bangsar Village II outlet, Ground Floor (near the escalator at The Loaf). The number to call is 03-2282435. @Choulyin: Considering that it is really effective, I think I'm willing to pay the price.